Alright guess what folks!? Today is Grilled Cheese Day! Yes, April 12th has been dubbed the official day of consuming grilled cheese so today's post is of course a fun and unique (but still easy) recipe for my favorite kind of grilled cheese! 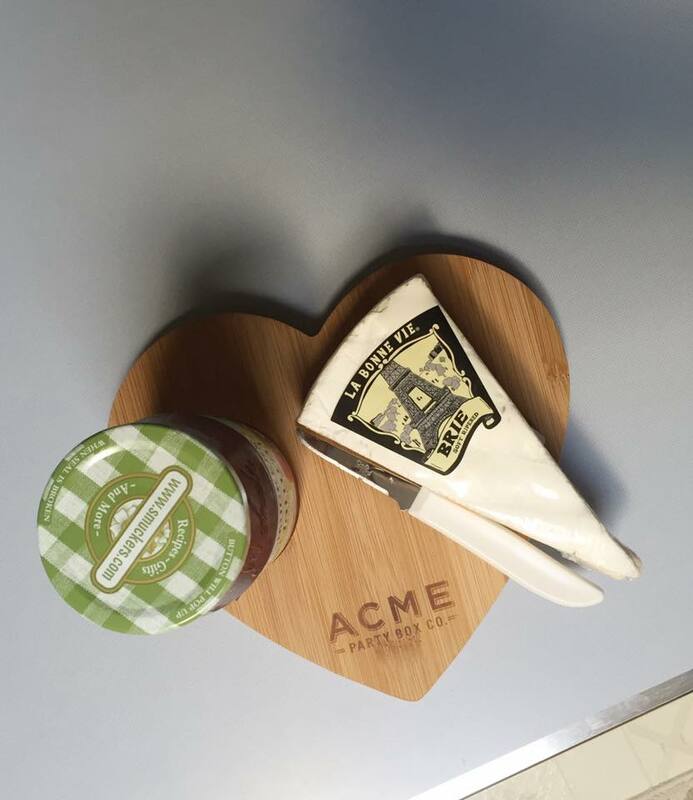 All you need is bread, brie cheese, and your favorite flavor of jelly. 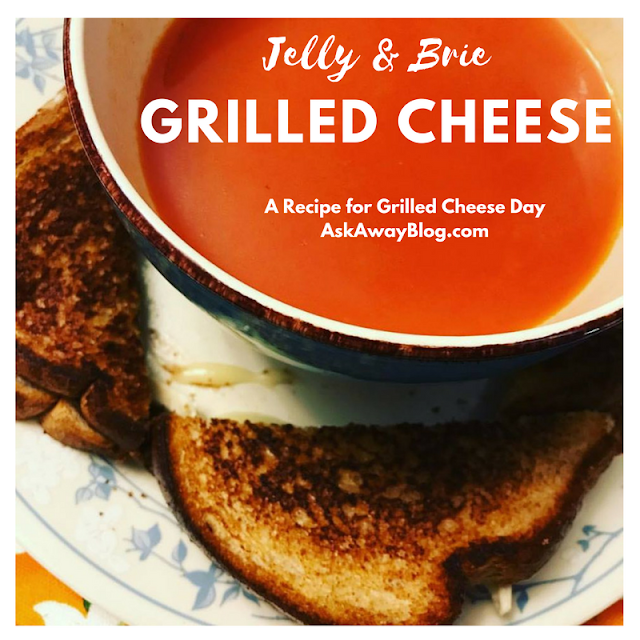 There's something about the jelly that gives this type of grilled cheese a unique taste and flavor. It goes so well with a bowl of steamy tomato soup! 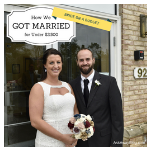 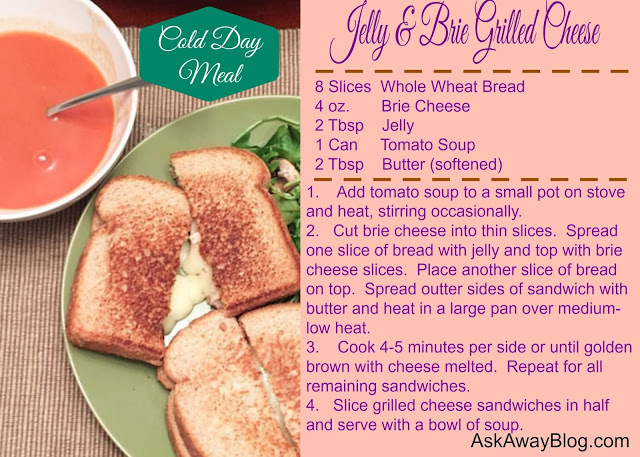 Click here for a printable version of the Jelly and Brie Grilled Cheese recipe.